The basis for a major documentary, two leading experts sound an urgent call for the radical reimagining of American education so we can equip students for the realities of the twenty-first-century economy. "If you read one book about education this decade, make it this one" (Adam Braun, bestselling author and founder of Pencils of Promise). Today more than ever, we prize academic achievement, pressuring our children to get into the "right" colleges, have the highest GPAs, and pursue advanced degrees. But while students may graduate with credentials, by and large they lack the competencies needed to be thoughtful, engaged citizens and to get good jobs in our rapidly evolving economy. Our school system was engineered a century ago to produce a workforce for a world that no longer exists. Alarmingly, our methods of schooling crush the creativity and initiative young people really need to thrive in the twenty-first century. 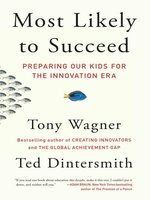 Now bestselling author and education expert Tony Wagner and venture capitalist Ted Dintersmith call for a complete overhaul of the function and focus of American schools, sharing insights and stories from the front lines, including profiles of successful students, teachers, parents, and business leaders. Their powerful, urgent message identifies the growing gap between credentials and competence—and offers a framework for change. 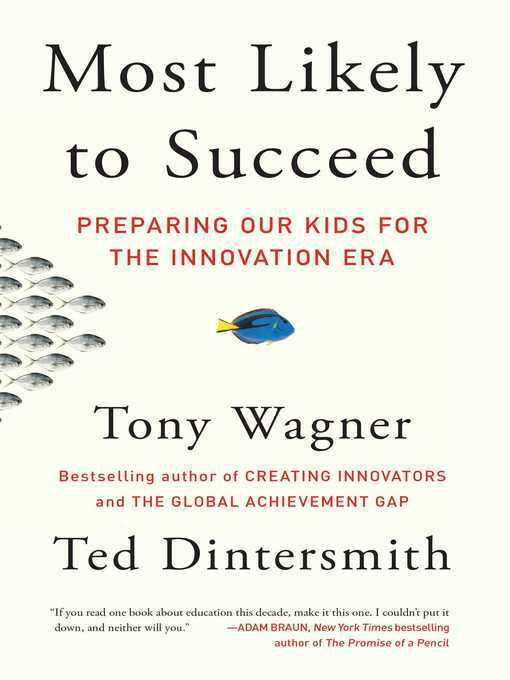 Most Likely to Succeed presents a new vision of American education, one that puts wonder, creativity, and initiative at the very heart of the learning process and prepares students for today's economy. "In this excellent book...Wagner and Dintersmith argue...that success and happiness will depend increasingly on having the ability to innovate" (Chicago Tribune), and this crucial guide offers policymakers and opinion leaders a roadmap for getting the best for our future entrepreneurs. Copyright 2015 Library Journal, LLC Used with permission.